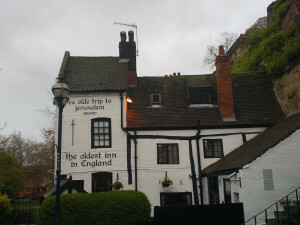 The Olde Trip to Jersusalem lays claim to being the oldest inn in England and is a destination pub particularly for overseas visitors to Nottingham. I nearly always bring my American friends here, even those that do not like beer. I am not going to bang on about the history of the place you can find all of that on their website and really all we need to talk about is the food isn’t it? 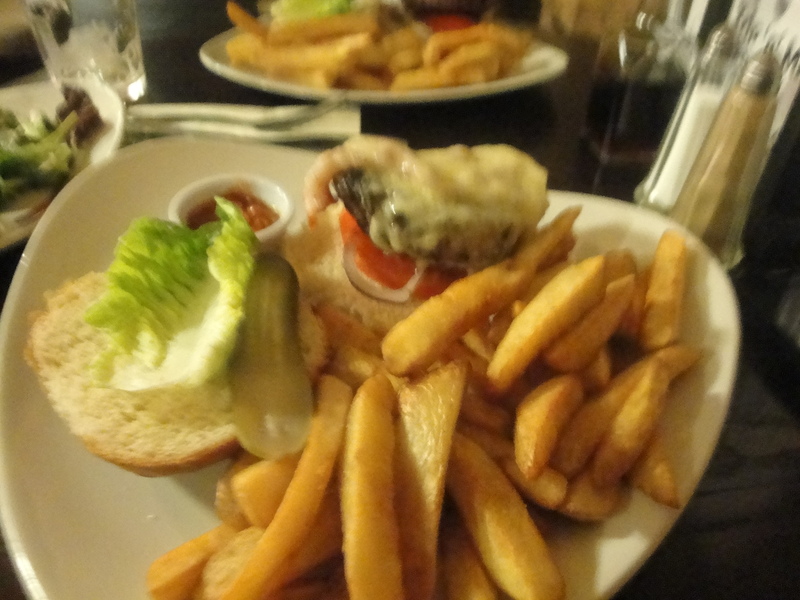 In the end it was all played quite safe and we each had one of their ‘Hand-pressed burgers’ described as a “Prime steak burgers in a brioche bun. 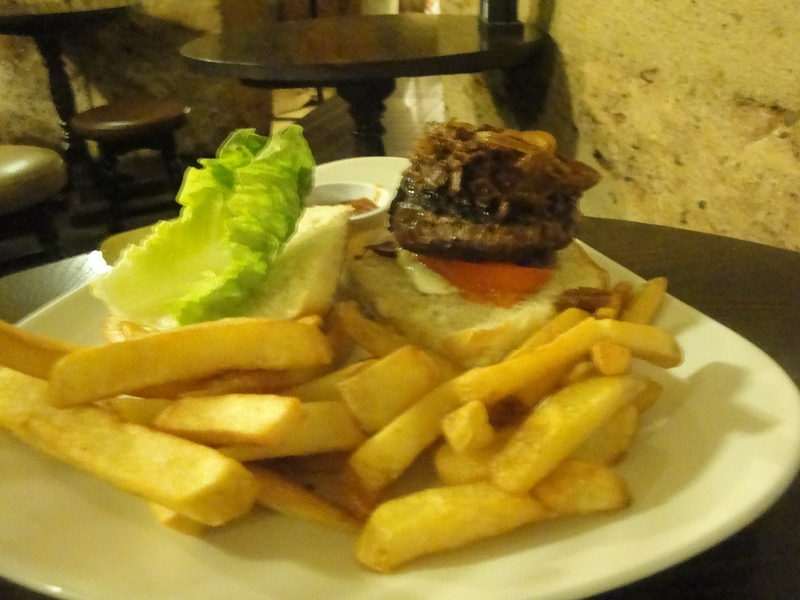 Baby gem, beef tomato, red onion, gherkin, burger relish, and skin-on chips.” I opted for the “Smoked Streaky Bacon & Cheese Burger” for £8.95 you could get this with either Devon Cheddar or Shropshire Blue cheese, I had it with the Cheddar. Mike my American friend had the “Slow-cooked BBQ Beef Topped Burger” for £9.95 which was accompanied with Crème fraîche, and coriander” . 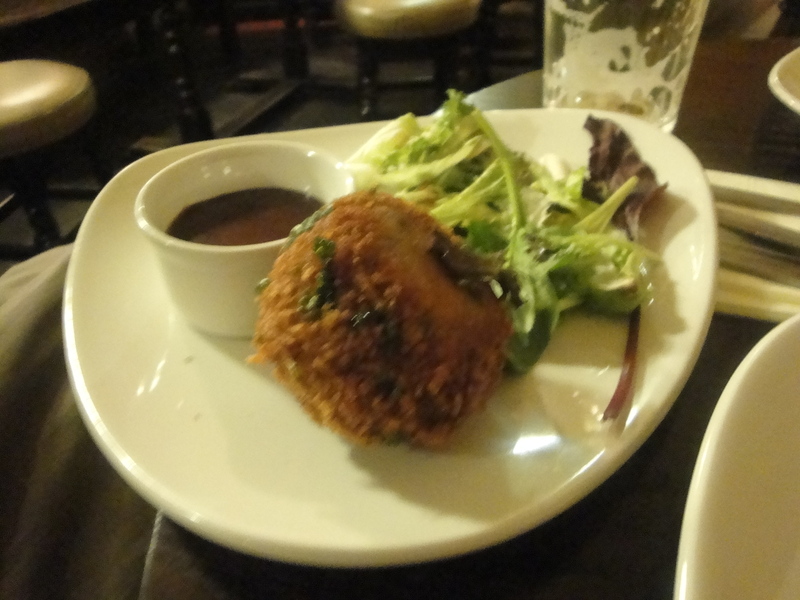 Mine was good, well cooked, very juicy meat patty and the cheese topping was quite nice, but I kind of liked the look of the Slow-cooked BBQ Beef topping on Mike’s burger more. 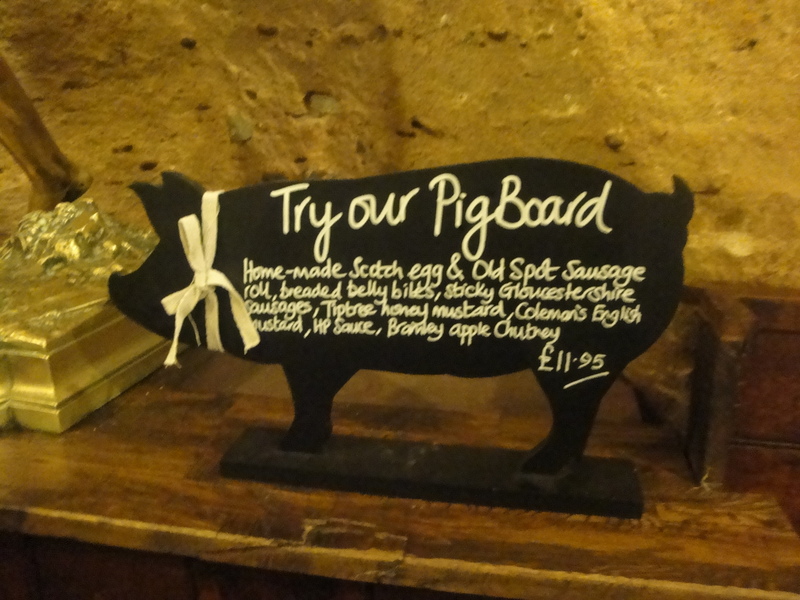 Having said all that, I still regret not getting that Pig Board! They are located right beneath the Castle Rock at the Brewhouse Yard. The Trip to Jerusalem is just on the fringe of the 5 minute walk radius from both the Station Street NET stop and the Old Market Square NET stop. Personally I would walk there from the Old Market Square, it is the closest spot and if you ask a local they can point you in the right direction.